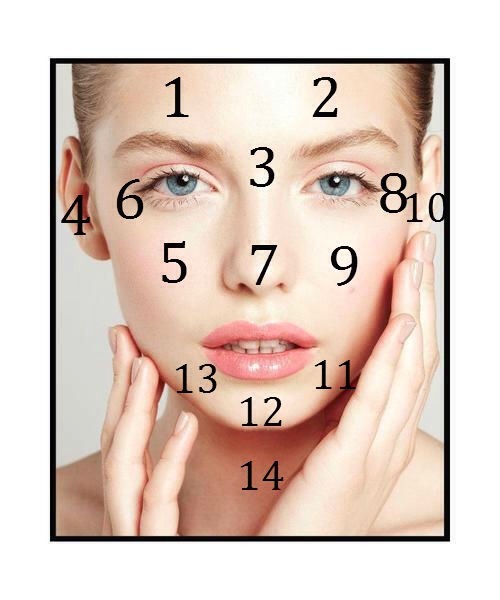 Face Mapping - What Is Your Skin Trying To Tell You? Face mapping is the art of unlocking mysteries of your skin to help treat pimples, adult acne, blemishes and more. 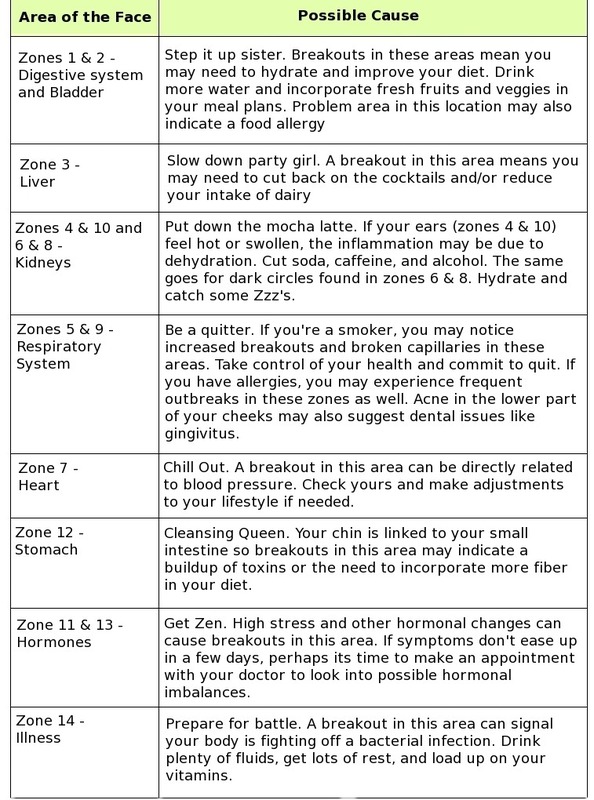 Zones that are breaking out indicate you may need to change your diet..
Click on image to see the whole chart! Hopefully this will help you figure out what's causing those breakouts! Remember, you are what you eat - what you put into your body is more important that overdosing your face with harsh chemicals in unnatural facial cleansing treatments.